1. Very long hang-time for the grapes, thus a slow and long maturation resulting in well-developed and complex aroma's. 2. A summer that was overall cooler and sunnier than average. Interesting, because what I heard from producers is that despite the variable weather during the growing season, the average temperature was slightly higher. Something to check. 3. It was a dry summer. Parker points out the good fruit, the purity and freshness and the quality and the ripeness of the tannins. 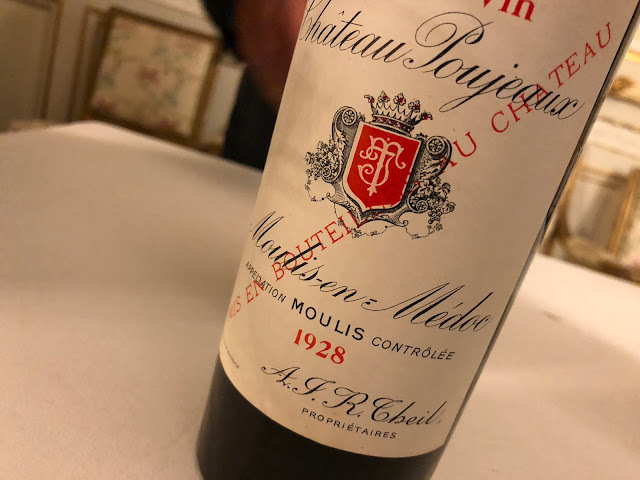 He states that the quality of Bordeaux 2008 comes close to 2005 and 2000, and surpasses the other vintages from this decade. Pomerol is supposedly the star appellation in the year 2008. And there are many many more wines scoring above 90, so I guess there will be enough Champagne uncorked in Bordeaux today. The point chasers are piling in into the shops in this part of the world all want 1st tranche pricing!